Directive? 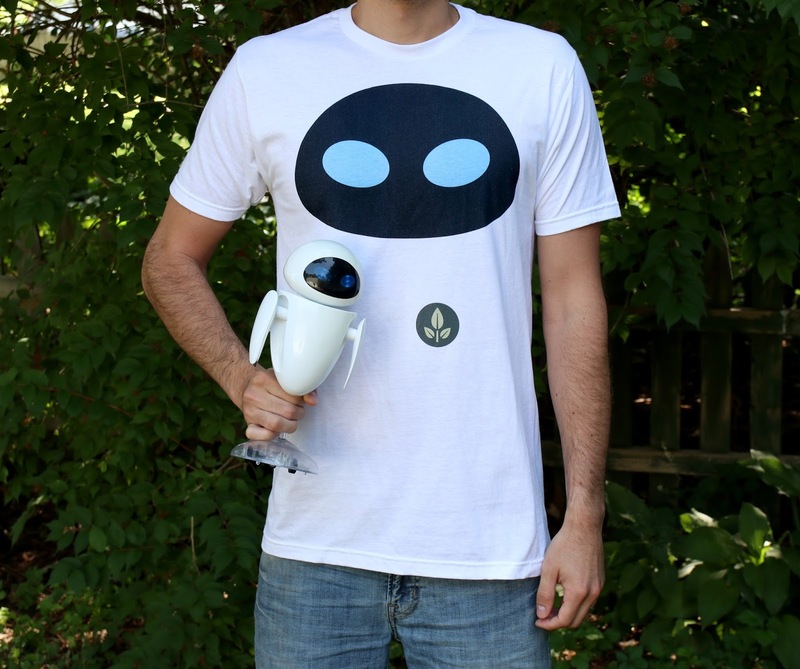 Check out this cool Wall·E men's tee inspired by everyone's favorite Extraterrestrial Vegetation Evaluator...Eve! My wife Brita picked this t-shirt up for me back in March from Fifth Sun (though you'll find it on other sites as well) and it's still available HERE for $19.95. The tee is 100% cotton and seems to fit pretty well. I really like the simple design elements of Eve's facial features and signature plant icon. For fans of the film, you might want to pick this one up! Let me know your thoughts in the comments below and be sure to check back daily for more from my ever expanding Pixar collection. Pixar News: Cars 3 Blu-Ray Date Announced! Fun Disney·Pixar Kleenex– Now Available!